Join the Informatica Cloud product team to find out what's new in the Fall 2016 release and explore all the key capabilities. The Fall 2016 release includes various new capabilities and enhancements expanding the potential of Informatica Cloud data and application integration, core platform, data management and easy connectivity to provide outstanding performance, scalability and efficiency. 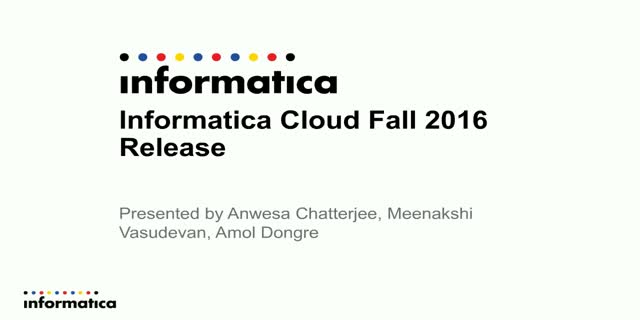 Please join the Informatica Cloud team to learn more on Informatica Cloud’s exciting new features and capabilities with the Fall 2016 release.